Slim Devices was a now-defunct company who produced network music players well ahead of its time. 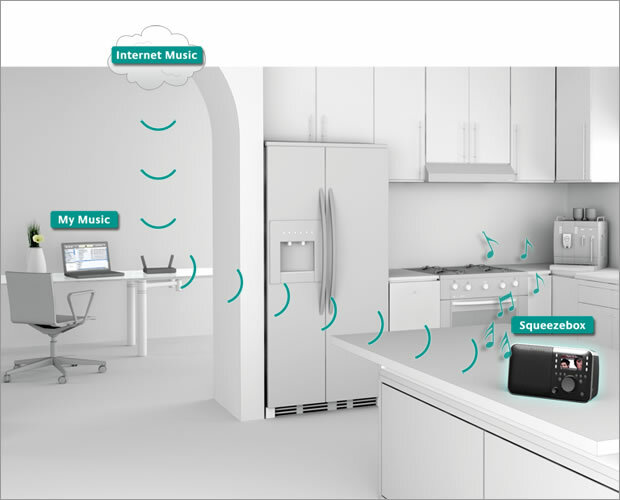 It offered more-than-good music streaming quality and many other special features, like music synchronization with devices placed on different rooms. 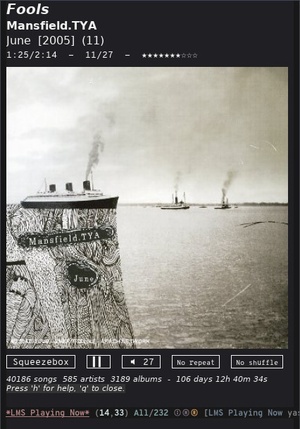 The squeezebox devices are the music players, which work with a free central software server (perl-based) called Logitech Media Server (aka Squeezebox Server, aka SqueezeCenter, aka SlimServer) installable on Linux, *BSD, Windows or Mac computers or even NAS devices, and where you could store and manage your local music library or even listen to internet stations. In 2006, company was purchased by Logitech and six years later these products were discontinued. 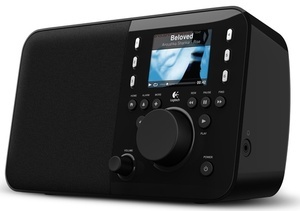 Anyway, it is still one of the best solutions available today for music management and local or remote music streaming. It works and active thanks to the community. And do not be fooled by appearances, it’s very simple to build, even for people without computer skills. Server software is freely available and it gets new features and enhancements or new plugins often. Even there are many different DYI software/hardware players from the enthusiastic community. 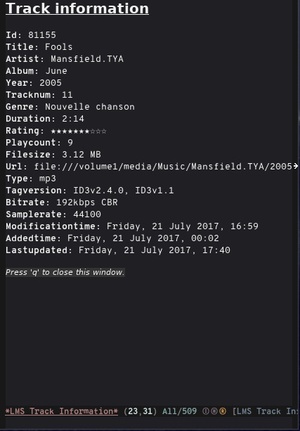 Building a player/server with a RaspberryPi, a DAC, and piCorePlayer software is funny, easy and quite cheap indeed. If you are interested in this solution there are lots of information in internet, but the community meets mainly at http://forums.slimdevices.com/. Well, that’s enough for the enthusiastic me and the marketing buzzwords ;-). I own a Squeezebox Boom and a Squeezebox Radio, use a Marantz NR1504 as well (thanks to a plugin called UPnPBridge) and planning to build a couple DYI players in next months. I control the players with a program on my linux desktop (jivelite) or from an app in my mobile phone (Orange Squeeze, is not free, but there are some others such as free & open source Squeezer). Ok, very nice… but… hey… there isn’t an emacs package to control squeezebox! 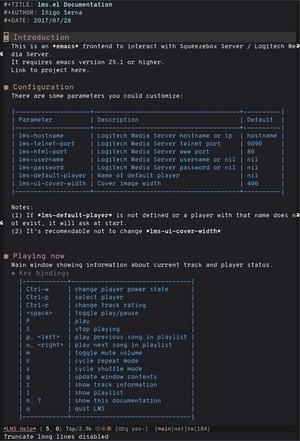 This is an emacs frontend to interact with Squeezebox Server / Logitech Media Server. 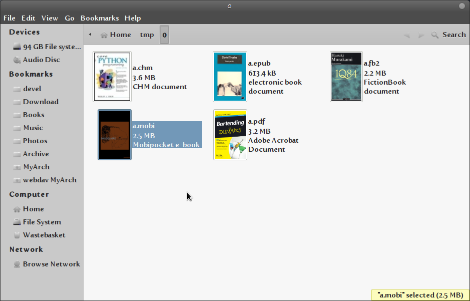 It is released under GPL version 3 license or later. It requires emacs version 25 or higher. Quick instructions: customize some basic parameters lms-hostname, lms-telnet-port, lms-html-port, lms-username, lms-password and run it with lms-ui. From there, you could read complete documentation after pressing h key. Package should appear in MELPA repository soon, and the code is in BitBucket repository as well. 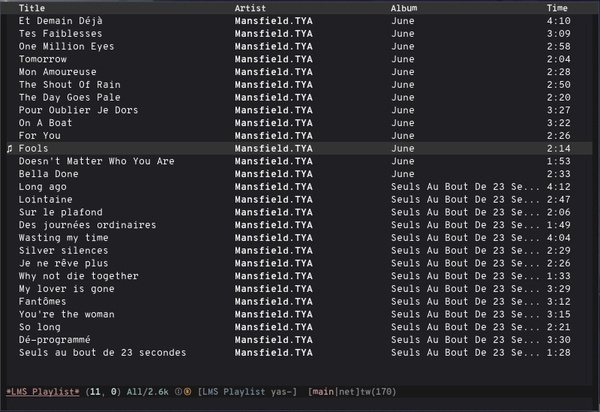 As today, July 30th, 2017, there are some missing features (like music browsing or searching), but they will be added during next weeks (read September as I will leave for holidays in a few days). It is not aimed to be a complete controller, as it can’t - and won’t - manage external sources such us BBC, Deezer, Pandora, Spotify, or TuneIn Radio. Of course, any ideas, suggestions and comments will be well received. Just released a maintenance new version of lfm, with some bugs fixes from last times. Of course, all comments, suggestions, etc. are welcome. - when installing data files with pip >7.0 & wheel. - PowerCLI: error message is always shown when command finishes. - filters: glob when parent dir contains special chars (BB issue #5). - lfm crashes when terminal is too narrow (BB issue #4). 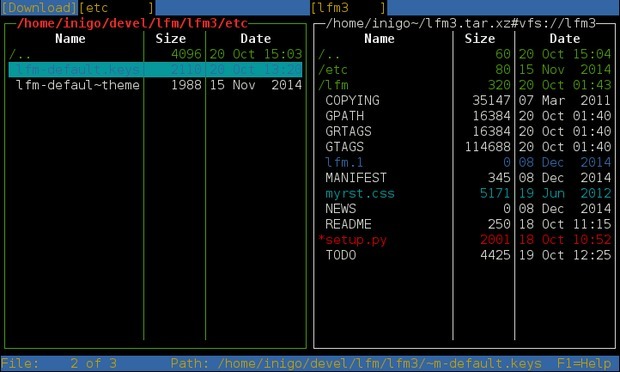 Yesterday I released lfm version 3.0, the powerful file manager for the UNIX console I started coding in 2000 or 2001. This is an important release as it’s the first compatible with Python 3, in fact it requires Python 3.4+. NOTE: If you come from v2.3 please read the Upgrade section in the documentation.
. if rebuild: all files modifications or deletions are translated to original directory so be careful! As usual, much time has elapsed without updating the blog. I had some ideas in my head but was too lazy to write anything. Anyway, I come back today with possibly my preferred software application… want to guess? Linux? GNOME? Firefox? even my own lfm? Well, the only application which really matters! In fact, as time goes by, I appreciate emacs more and more. And as I’ve mentioned somewhere, I can spend a great part of my decreasing spare and idle hours tweaking here or there in my .emacs file configuration and testing new modules - MELPA, so much pain have you inflicted. Ok, less ramblings and let’s go into detail. I’m using emacs --daemon since a couple of years ago. emacs starts with my GNOME graphical session (nowdays as user systemd service) and ends with it. Very convenient. 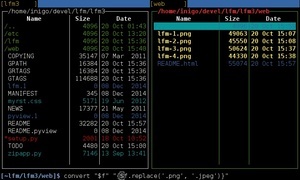 I also used desktop-mode, which can save your opened files, frames sizes and much more at emacs session ending and recover all of them the next time you start emacs. It worked more or less for me with emacs daemon mode. Usually this wouldn’t be a serious inconvenient as I use helm-mini (or helm-recentf) to open recent files quickly. But… hey! this is emacs, let’s write a new and superfluous package (and learn in the process)! I need to confess that I don’t know much about emacs-lisp, in fact the only language I can consider myself proficient enough nowdays is python, but coding simple stuff in elisp (or haskell, btw) is a good way to relax myself for a couple of hours. Ok, so we need to write a function to get all buffers containing live files and save their name onto a file. Then, another function to read the stored file names and open them. We can get all opened buffers with buffer-list, which returns a list (of course, this is emacs-lisp, there are lists everywhere ;). And buffer-file-name can be used to get the name of the file for the buffer. Now we have to save this list into a file. it looks like it works with current buffer, so we could create a temporary buffer, insert the list as a string (prin1-to-string), select the text and save it finally. It’s not very clear from the definition above, but reading the description carefully we noted the function can also be used by passing a string as the first parameter, so we don’t need the buffer! We also add some comments to the file in case someone read it. We use format to format and concatenate the text to be written. And now we have our first function finished! (write-region (format ";; PMDM file.\n;; Please do not edit manually.\n%s"
Wow, very easy… but there is problem here… what we have is the string representation of the list, not the list itself! After half an hour thinking and searching internet the solution was simple, the read function can cast the string into a list. We loop the files list returned by previous function with dolist and call find-file-noselect to open them in the background. 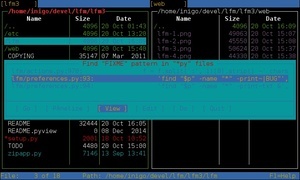 Though in emacs it’s harmless trying to load an already opened file, it’s better to check and avoid it. We know how to get a list of currently opened files so for our new file we will check if it is present in the already-opened-files list. We can enhance the function displaying how many files we have opened, so we add a variable that we’ll increment for each new opened file. Add functions comments, use of defvar instead of hard-coding file name and voilà, we have the final version of pmdm.el. I know/suppose there are a lot of better implementations of this same idea out here. But using them would be less fun than coding it ourselves! 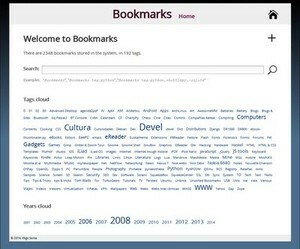 Bookmarks is a simple personal web-based application to manage web bookmarks. It was coded as a funny practice, but it includes some nice features: advanced search, tags cloud, years cloud. I think this little application can be useful for anyone learning Python web programming. It’s under GNU Affero GPL License version 3 or later. Of course, all comments, suggestions etc. are welcome. I’m really pleased to announce a new release of MyNewspaper, a web-based personal ATOM/RSS aggregator and feeds reader. This new version has been completely rewritten from scratch. Anyway, this is now version 4.0, a very fast and nice web-based feeds reader for personal use. En primer lugar perdonad por lo tópico del titular, pero aún así me resisto a buscar otro, éste resume perfectamente lo que trato de explicar en la presente entrada. 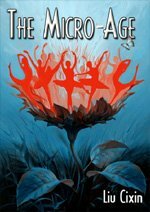 Liu Cixin es un escritor chino de ciencia ficción contemporáneo, y según parece, el más popular en su país. 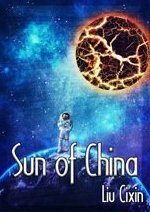 Mi primer contacto con él fue a través de una mención de @literfan en Twitter acerca de un cuento suyo gratuito en Amazon, The Sun of China. ¿Ciencia ficción china? merecía la pena probarlo, así que a por él fuimos… ¡bastante interesante! 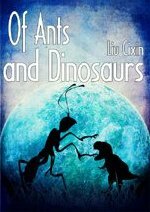 Más adelante, y vía mención de @literfan, dí también en Twitter con @odo, autor de un gran blog de ciencia ficción y fantasía y quien se ha convertido en el gran valedor e impulsor de la obra de Liu Cixin por aquí. 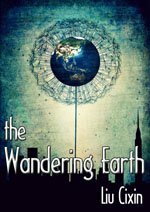 Por cierto, no dejéis de leer la siguiente entrevista a Verbena C.W., la editora en inglés de las obras de Cixin: http://sentidodelamaravilla.blogspot.com.es/2012/05/entrevista-con-verbena-cw-editor-de-liu.html. 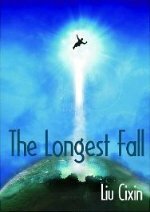 Así, entre los cuentos que fueron apareciendo gratis en Amazon y un par de compras (total no más de 1.5 EUR), finalmente he podido leer todo lo que Liu Cixin tiene publicado en inglés. 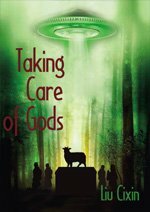 Se tratan todas ellas de novelettes, un formato intermedio entre los relatos cortos y las novelas, editadas durante el 2011, a excepción de Taking Care of Gods que es del 2012. 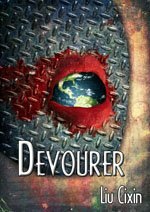 Terminado “Devourer” de Liu Cixin. Ocurrente y muy interesante. Yo diría que Cixin es el más clásico de la CF de nuestros días. Curioso, no? Si algo tiene Cixin es imaginación, buenas ideas que trata de un modo muy clásico, sin entrar en demasiadas profundidas ni tecnológicas ni sociológicas; mucho menos adentrarse en la psicología de los personajes (y cuando lo hace falla estrepitosamente, como por ejemplo en Mountain). También hay presente un cierto toque moralista que en mi opinión termina por empobrecer el resultado final. En este punto quizá haya que concederle el beneficio de la duda, pues desconocemos hasta qué punto la traducción es suficientemente fiel a las intenciones del autor. No obstante, a mí personalmente lo que menos me convence de estos cuentos es ese buenrollismo, el optimismo que aparece en el final de prácticamente todos los relatos. Cosas de ser un cínico, supongo. 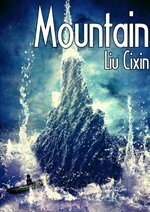 Tal vez sea que Cixin es aún demasiado joven… Esperemos que se le pase pronto esta etapa. Pero a pesar de ello, la grandiosidad de las imágenes que nos ofrece contrarresta (y de qué manera) los puntos negativos. 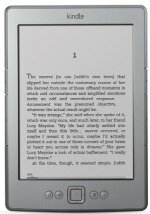 I bought a Kindle 4 ereader last November, when Amazon started selling this model in Spain. I already own another couple of ereaders — and in fact I’m still in love with the IREX DR800, but as IREX is now out of business I don’t want to risk the integrity of this marvellous 8” device as I think it’s still the best ereader out there —. Well, I digress… Anyway, I wanted a cheap and small ereader to carry everywhere, so I got a Kindle 4. Thus, I spent some hours past weekend hacking it, jailbreak, installing some third party applications and building a cross compiler toolchain. 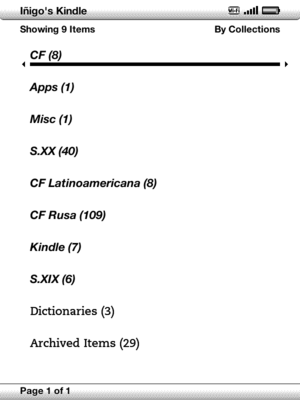 By the way, if you have ebooks in formats not supported natively by Kindle (.fb2, .epub, .chm…) and don’t like the idea of converting to .mobi format, CoolReader 3 is a must. But I won’t talk about it now. Today we’ll write a tiny python script to convert Kindle 4 screenshots to png format. Note this script only works for Kindle 4, you should need to modify it to adapt for other models. More information on this later. In order to use this you need ssh shell access to the Kindle, first to get the screenshot and then to transfer the file to your computer. Both wifi or usbnet work. Note 600x800 is the resolution of Kindle 4 screen. 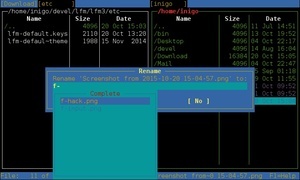 Then copy the file screenshot.raw to your computer. The image we got in previous step is in raw format with no information about internal colors, rows or columns. That’s why it can’t be opened with your image viewer program . Kindle 4 uses 8 bits (i.e. 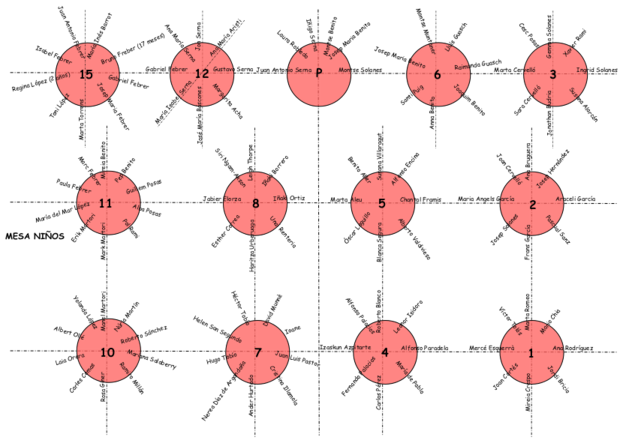 1 byte) per pixel , so in our case the processing is quite easy, we don’t need to mess with bits shifting. For more information consult PIL documentation. Note that if you prefer to use the currently deprecated compact syntax of Image.frombuffer (line #3 below) you’ll need to flip the image (line 4), as it is read up-down. You can download the complete script from here. I’ve just discovered there is a keyboard shortcut to make a screenshots in Kindle 4: press and hold keyboard button then press menu button. Screenshot will be created as .gif files in documents folder. Yes, I’m aware of some programs that let you specify some parameters of the raw image to open it. In fact Kindle 4 uses 8 bits, but the 4 lower bits are copied in the higher 4 bits. Kindle 3 and older use 4 bits per pixel. More information on MobileRead forum. Today I’ve announced a new little tool I wrote a couple of weeks ago. ebook-thumbnailer.py is a python script which generates cover thumbnails for some common ebook file formats. This blog entry is a copy of the program web page. The package also includes the needed schemas to be integrated with GNOME 3 but it should easily work with any other desktop environment. Note that, as mobi_unpack is not usually provided by your OS, download it from MobileRead, copy to your system and change line #160 in the script. Search MOBI section in source for more information. You could even use PIL/Imaging instead of pygtk to create the image files. Code is already there, just comment/uncomment the proper lines in function create_thumb. To download follow the link at the beggining of the post. Hace apenas un par de semanas cogí unos días de vacaciones de esos que aún me quedaban del año pasado y nos fuimos a una casa rural, no muy lejos al norte de Solsona, en el prepirineo de Lleida, buscando un poco de paz y que la familia viera algo de verde. 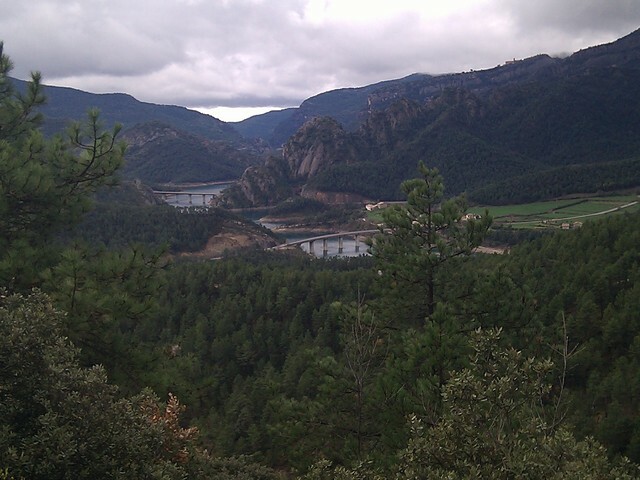 Así pues, con una cierta ilusión, pero tampoco con excesivo entusiasmo, nos fuimos para La Vall de Lord. La primera impresión fue bastante buena: montañas, bosques y mucho, mucho verde. Pero según fueron sucediéndose los días el entorno empezó a enamorarme, montón de parajes extraordinarios, tranquilidad, belleza calmada y poca gente. 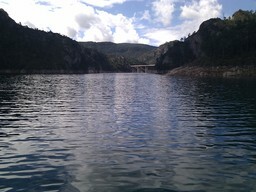 Como se puede ver en las fotografías, en medio del valle se encuentra el Embalse de la Llosa del Cavall, rodeado de colinas y algún que otro prado donde poder tumbarse a la fresca. Por lo que ví se puede pescar en él. 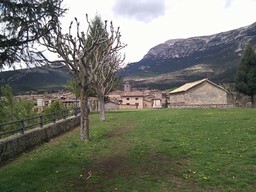 Sant Llorenç de Morunys es el pueblo principal. 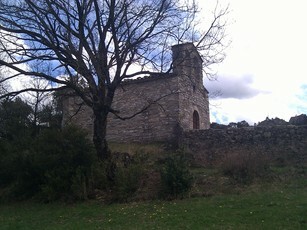 No muy lejos de él se encuentra el Santuari de Lord y cercano a él la ermita de Sant Serni. 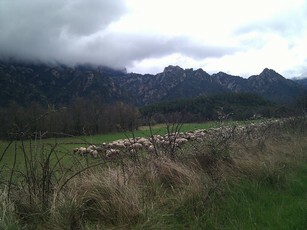 Subiendo por la carretera hacia La Coma i La Pedra se hallan las Fonts del Cardener, otro rincón de obligada visita. 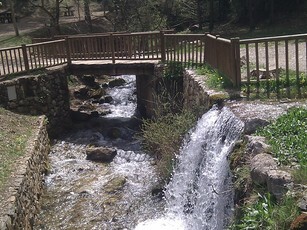 El Cardener es al parecer el mayor afluente del Llobregat. 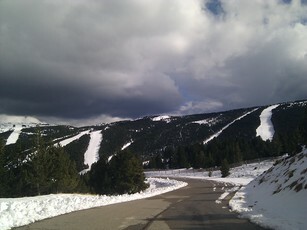 La zona también acoge la estación de esquí del Port del Comte, creo que no tan popular como otras más al norte pues al contar con menor altitud tiene nieve menos días al año. 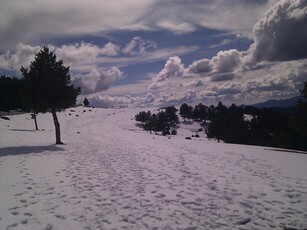 Casualmente en estos días cayó la mayor nevada de la temporada. No olvidéis tampoco visitar el casco histórico de Solsona, ya fuera del valle propiamente dicho, y caminar sin prisas por esas antiguas calles cercanas a la catedral. 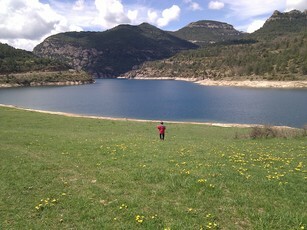 En definitiva, La Vall de Lord se ha convertido posiblemente en el refugio para desconectar cercano a casa que utilizaremos durante los próximos años. 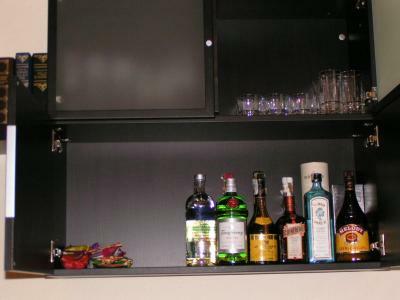 Ok, after more than 6 years of silence, here we are with a new entry in the blog! Lots of things during this time: a couple of sons, a new job, I recently started my 40’s… but life continues. Even Tom Waits played in Barcelona and I was there! ¡Tras más de 6 años sin actualizar el blog, aquí estamos de vuelta! 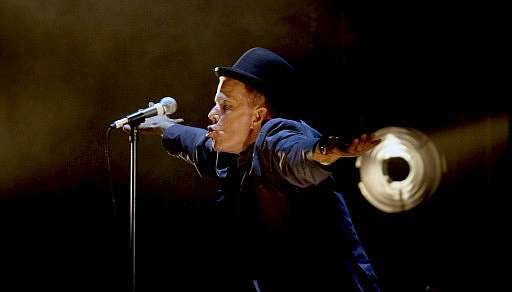 Muchas cosas han cambiado, o más que cambiar, la vida ha seguido transcurriendo: un hijo, cambio de trabajo, otro hijo, los 40… Incluso pude acudir a un concierto de Tom Waits en Barcelona! Along this week I’ve been reading the documentation of lighttpd, a light and fast web server. Encouraged by its simplicity I installed and replicated my apache configuration (4 virtual hosts, some complex rewrite rules for a zope site…) in two non complete days. And I liked it, it is light and fast as they stated, but it’s really simple too. After two more days testing some things, mainly SSI and python CGIs, I took the decision to substitute the good ol’ apache with lighttpd. Today I’ve done it and except a few minor issues regarding non complete support for SSI’s exec and the replacement of several .htaccess with lighttpd’s own method of authentication, it has been straightforward. Not much scientific measurements show virtual memory comsumption has lowered from ~27 MB to ~3 MB, and some large pages loading time improve ~33%. Also, as far as I finish the new Katxi web site I’ll be able to get rid of zope and MySQL too, replaced by CherryPy and sqlite. Not that I don’t like them, they are great, but perhaps too cumbersome for my needs, not so complex personal webs. But as this will be announced soon, I won’t add more now. By the way, I’ve also slightly changed http://inigo.katxi.org site, replacing old-style tables with more modern CSS techniques. Anyway, today I released Pynahotheka, a python script which generates nice static HTML photo albums in which I’ve been working last 2 months. It’s written with Python, PIL and CheetahTemplate. I’ve created my friends and my own photo galleries with this tool. Also I’m really proud that some friends uses it to build their own galleries. I haven’t mention MyNewspaper either, a personal RSS aggregator and reader with a Web UI. This is a project I started this summer, but was halted due to pynakotheka development. I use it every day and it’s quite good!!! It’s written in Python and uses CheetahTemplate and Sqlite/SQLObject. One of the oldest projects in my TODO list was to rewrite a desklet I coded some time ago. I’ve been considering the idea for many months - maybe too much - but with the latest improvements in gDesklets (Controls, Side Candy, etc) I run out of excuses, so this afternoon I’ve taken a look at SideCandyPopmail and adapted to my old code. 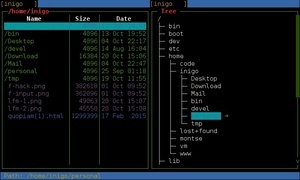 The desklet shows the number of unread/total messages in an Unix mailbox, the size of the mailbox file and the subject of last 4 received emails. Its beauty comes from the SideCandy style. I’ve put here my config files. I’ve added another script to feed my RSS reader. In this case is elcorreo.py, a python script to get latest news from El Correo Digital. It is implemented as a command for Liferea, i.e., a script which retrieves news updates, parses them and builds a rss feed at run time, which is written to stdout. It also need BeautifulSoap. While half the world is watching Olympic Games and the other half is discussing about decorators, and as far as my good proposal (“#decorator” :) has been sadly ignored, I’ve spent last days writing googlenews.py: a simple python script to retrieve news from Google News Service. Type googlenews.py --help for more info. Tras unos pocos días trabajando en ella, ya está prácticamente terminada mi nueva página web. Quedan unas pocas cosas, como añadir algunos contenidos y terminar el soporte de la webcam, pero, en fin, lo que siempre me resulta más engorroso, que es el look and feel ya está. Venga, lo he decidido… me he levantado hace unos pocos minutos y, como tampoco tengo nada mejor que hacer, pues me caso, hala. Algoritmos de optimizaciónn de la satisfacciónn general no son suficientes, pues el nivel de bienestar de cada persona ha de tener un nivel aceptable (superior al de los demás, me atrevería incluso a asegurar). Y en este último punto reside el problema, ¿cuál es el nivel aceptable para cada uno? Espero que nadie más se enfade en exceso, pues os aseguro que en ocasiones se hace muy complicado cuadrar todo, y nosotros lo hemos hecho con la mejor voluntad posible. Creedme. Bueno, pues ya estamos a 15 días del GAS (Gran Acontecimiento del Año). Acabo de enviar un link de la iglesia a la lista de correo para que la vayáis conociendo. 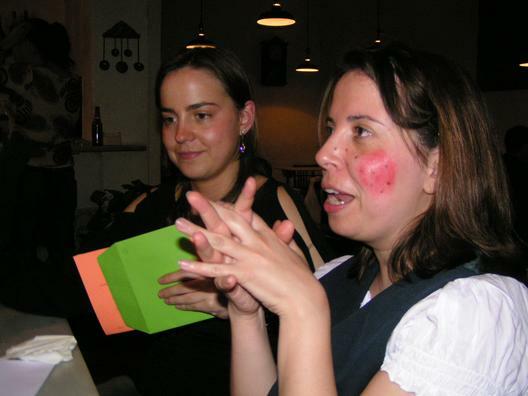 Y dando un giro de 90 grados al mismo tema, ayer estuvimos Montse y yo en la Boda del Albert y la Laia… estuvo bastante bien… son buena gente, tanto ellos como sus colegas… Si de hecho me tocó en la cena al lado de su madre… ¿y qué puedo decir? todas las madres son iguales, en cualquier parte… jejeje (“Albert, no fumes, que te harás pipi en la cama”). Por cierto, que ahora están las amigas de Montse preparándola para marcharse de despedida. Pues sí, chicos, la vida es bella.